Cycle from Granada to Seville on this self-guided holiday in Spain. Explore the unique region of Andalucía, with its mix of European and Arabic cultures, and cycle through the landscape of the Sierra Mountains. Explore the fascinating cities of Seville and Cordoba and visit the famous Alhambra Palace in Granada. Ride along former railway lines and quiet roads and end your trip in Seville where you can visit the largest gothic cathedral in the world. Malaga is a bustling port city at the clear blue Mediterranean Sea, characterized by historical treasures as well as beautiful beaches. One of the most famous Spaniards of this century was the Malagueño Pablo Picasso. Picasso’s traces run through the entire city to the famous Picasso Museum. Furthermore, the imposing cathedral, the Moorish Alcazaba fortress, and the castle Gibralfaro are waiting to be discovered. The old town, the Moorish castle, and cathedral testify to the former prosperity of the city. In the morning, an approximately 2-hour bus transfer will take you to the beautiful city of Granada. Here you will find the most important historical monument of Andalusia with Arab influences, the fabulous Alhambra (the red castle) has existed since the 9th century and used to be a fortress in earlier times. In the evening, you will get to Antequera, the starting point of the bike tour. At the gates of the kingdom of Granada, the historic city of Antequera is waiting with its collection of red tiled roofs and 30 steeples. 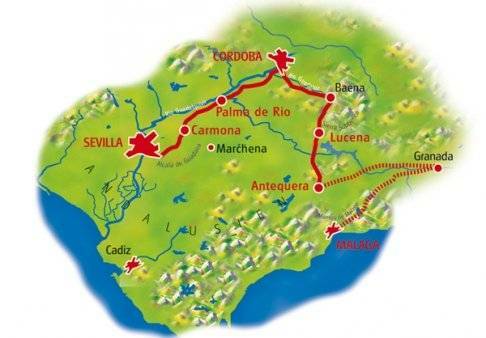 The bike tour will begin with a ride on the old railway line through the beautiful countryside to Lucena. In one of the most important olive oil-producing regions of the world, the famous oil is pressed in the mills. You will continue your journey along an old railway line passing vast olive groves to Baena. The inhabitants of Baena live mainly from agriculture and are very tradition-conscious people. This is also reflected in the townscape of Baena, which is located on a hill. It is characterized by narrow streets that wind their way through the old town and where you can find interesting religious buildings such as the Church of Santa Maria la Mayor from the 16th century or the old castle. The Sierra Morena with its foothills frames the former European Capital of Culture. This romantic area is surrounded by pine forests and an impressive solitude. The route leads on almost empty streets mostly downhill, with one slightly longer and some shorter climbs towards Cordoba. Every now and then, you will pass farms, which specialize in the breeding of fighting bulls and enjoy a special reputation in Andalusia. In the evening, you will get the possibility to participate in a city tour and see the witnesses of the dazzling cosmopolitan past: Moorish architects created masterpieces, such as the Great Mosque, which is – besides the Alhambra – the most powerful Moorish building in Europe. Particularly nice are the “forest of a thousand pillars” and the ornate prayer rooms. In the wide valley of the Guadalquivir, you will leave Cordoba on an old Roman connecting road. Ecija is the capital of horse breeding. Renowned stud farms are characterised mainly by their Andalusian horses (local thoroughbreds), Arabian horses, and English hot bloods. Also today, the Guadalquivir is the first companion. You will continue your tour through the Campiña of Seville, a gently rolling landscape of fertile farmland to the west. Carmona is a city that has notn’t changed for 150 years, it has Baroque palaces, churches and monasteries and is surrounded by intact Moorish town walls. Today you will cycle over the gently rolling plateau of Alcores to one of the most fertile agricultural areas in Andalusia. For centuries, Alcalá de Guadaira supplied Seville with bread and water, and is considered one of the cradles of flamenco. Former haciendas of the Kingdom of Seville, today just as large farms as in former times, line the road. Our destination is Seville, where three of the most important operas are performed: Don Juan, the seducer; the cunning barber Figaro; and Carmen, the femme fatale, who lost her life somewhere between the tobacco factories and the bullfight arena. Two international exhibitions helped the city to futuristic buildings and great green parks. In the evening we suggest a visit to the largest Gothic cathedral in the world, the Barrio Santa Cruz, and the Casa de Pilatos. 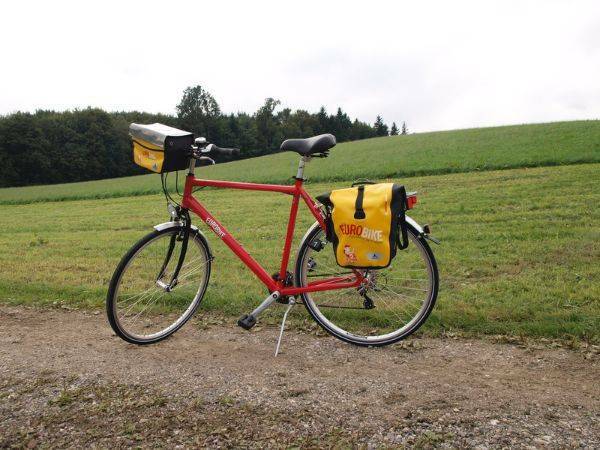 The bike routes are alternately flat and hilly. 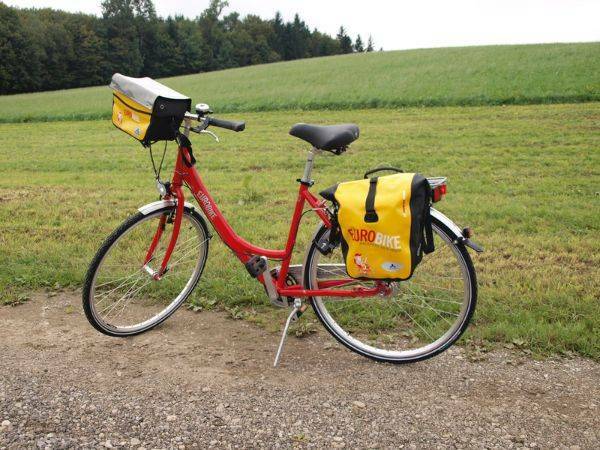 You will cycle on bike paths (former railway lines) and side roads. In some cases, you will find yourself on roads with more traffic, especially when entering or leaving a city. We recommend flying to Malaga airport to reach the starting point of this cycling holiday. From Maria Zambrano station in Malaga, Hotel Silken is approx. 2 minutes walking. Taxi costs approx. €10. Alternatively, you can go by bus number 32 on the Avenida Aurora in direction to Mayorazgo, get off 7 stops later at the Paseo de Sancha (Monte Sancha). The hotel is situated just a few meters away. From Pablo Ruiz Picasso Airport in Malaga, it is approx. 12km to the hotel. Taxi costs approx. 25 Euro. Alternatively, you can take the train C1 from the airport to the train station María Zambrano. From here, see arrival by train. 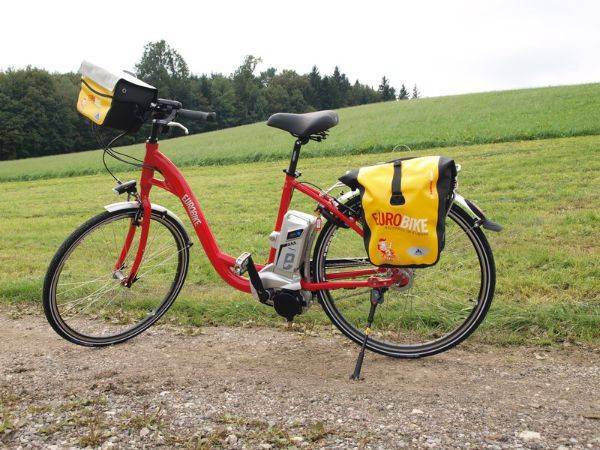 The Andalucia (Granada to Seville) cycling holiday includes the daily transfer of luggage to the next hotel and local support if required.